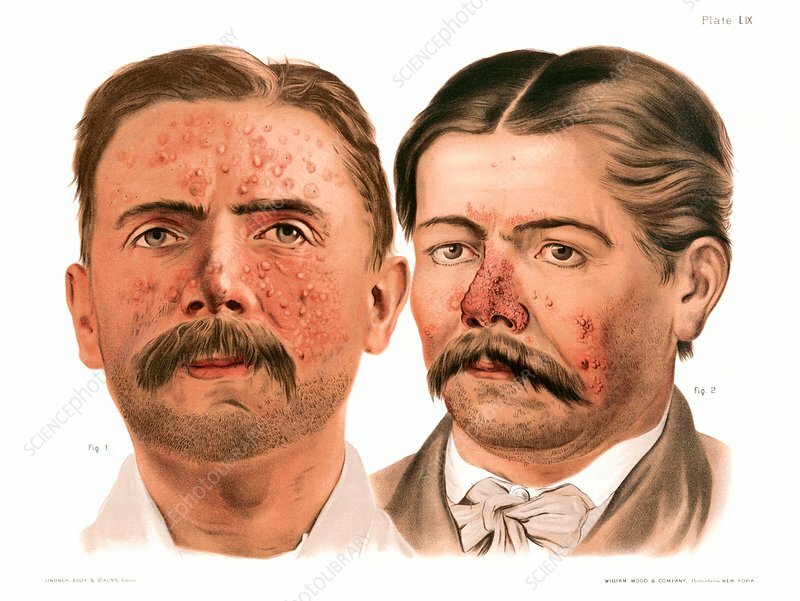 Acne vulgaris and acne rosacea, historical medical illustration. Acne vulgaris (left) is a skin disorder in which the sebaceous glands in the skin become inflamed, forming pustules caused by the blockage of hair follicles. Acne rosacea (right) is a reddening of the skin of unknown cause and may be accompanied by pustules. From Atlas of Venereal and Skin Diseases by Prince Albert Morrow, published in 1889.